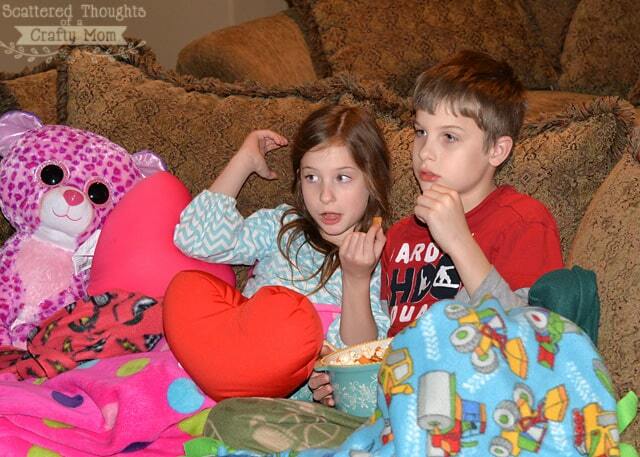 One of our favorite family night activities during the winter is Movie Night! We love dimming the lights, putting on a great movie and snuggling up together under all our blankets with a yummy snack. 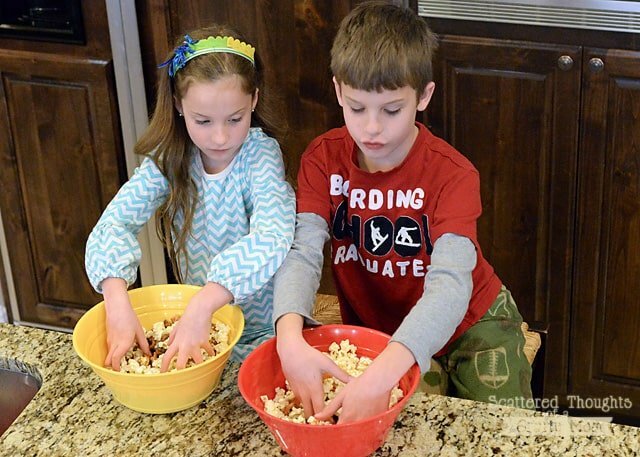 What’s a better movie night snack than popcorn? 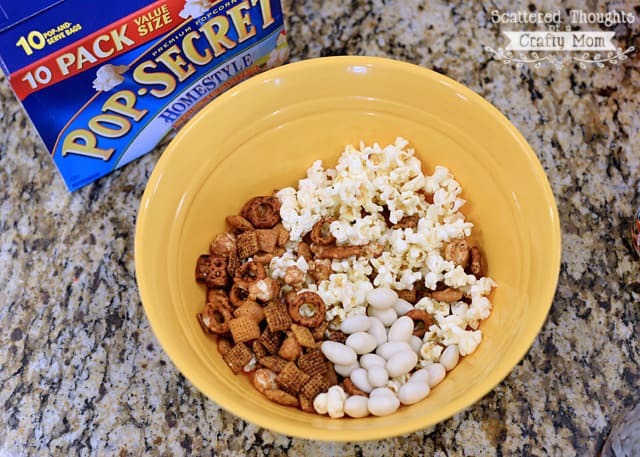 I’ve got a great secret shortcut to share for putting together the best sweet and savory Movie Night Popcorn Snack Mixes! We’ve had a busy couple of weeks- hubby had to squeeze in 60 hours of additional classroom time, so the kids pretty much did not see their Dad for 7 days straight. (They leave before he wakes up and he wasn’t getting home til 10pm.) His last night of class was last Thursday and I knew he just wanted to come home and relax. 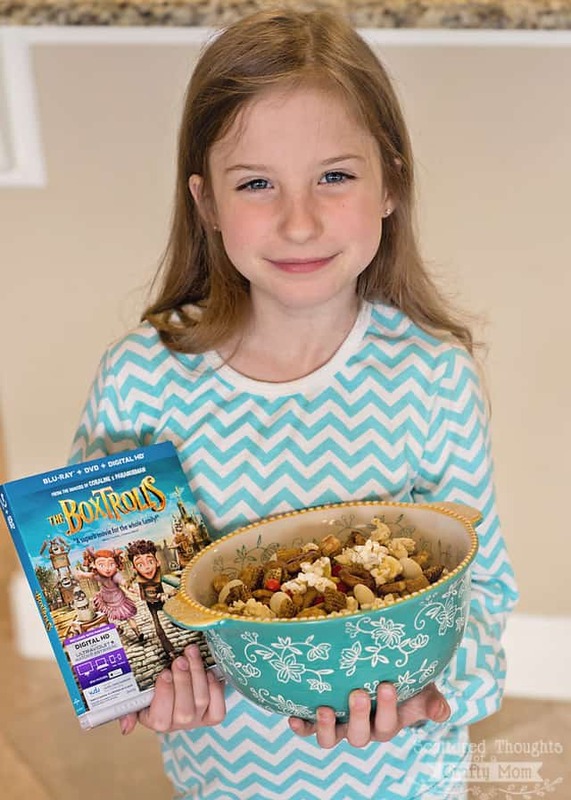 I thought a movie night would be the perfect way to have family time and still let Dad “unwind.” Family time is so important at this age- even if it is something as simple as family movie night. 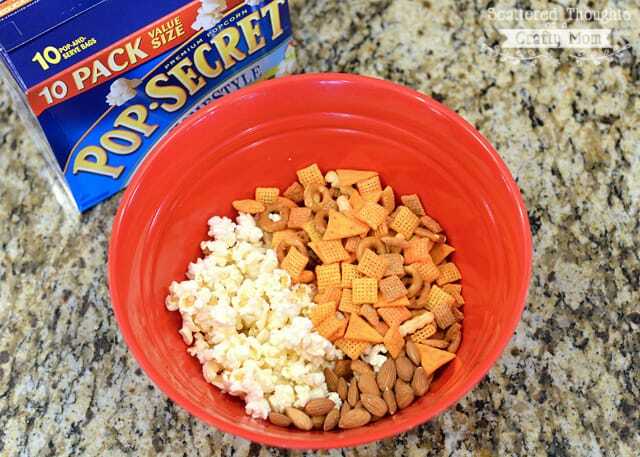 My short cut secret is popping up a bag of Pop Secret Popcorn and then mixing in a bag of your favorite pre-made snack mix. 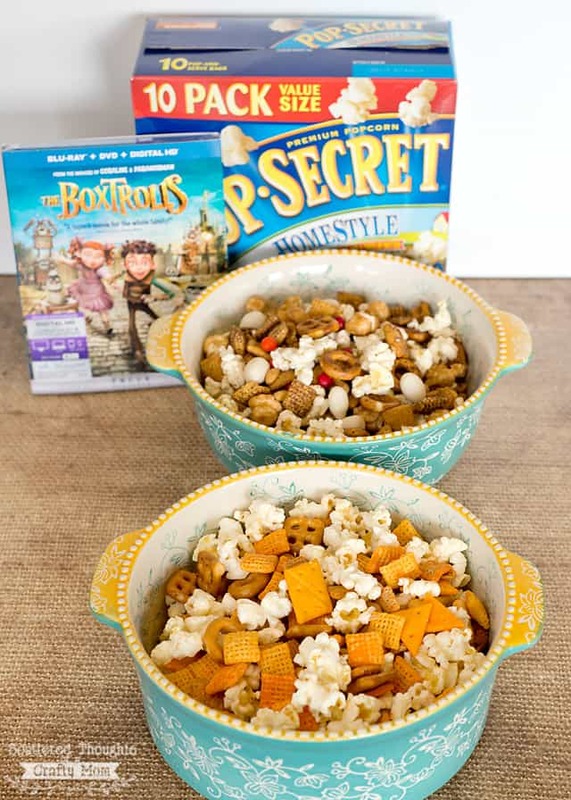 An awesome family movie night with yummy snacks! We all loved The Boxtrolls! 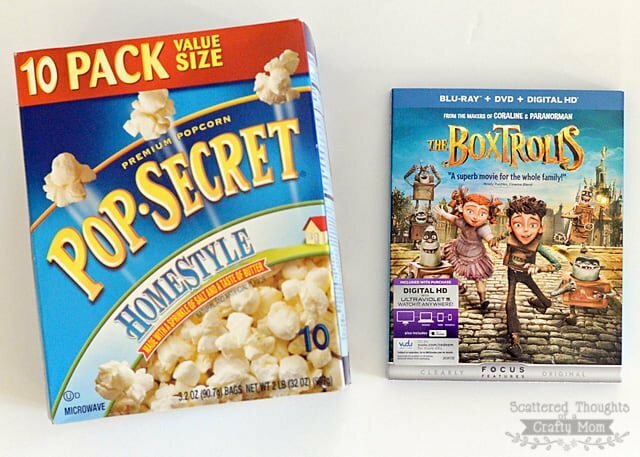 You can get the DVD and Pop-Secret Movie Theater Butter or Homestyle 10 Count Box in one trip to your local Wal-Mart, while supplies last!